What Is a 501(c)(3) Account? If you’re looking to start a charitable organization or wish to look into one that already exists, you will need to understand the basics of 501(c)(3) accounts. 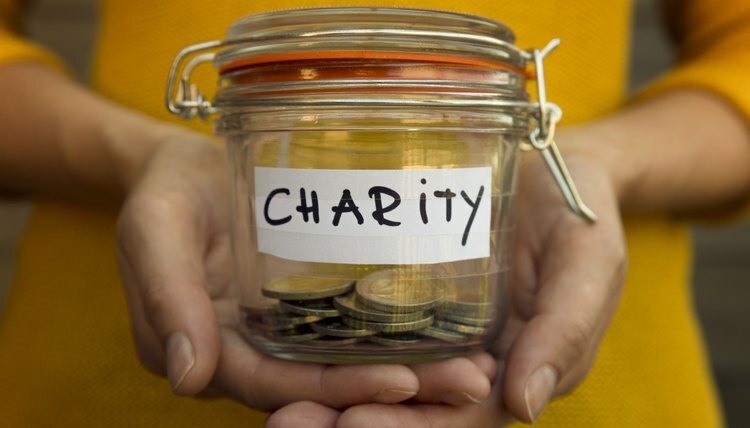 Essentially, to define 501(c)(3) eligibility, you should consider any charitable organization or other form of a nonprofit that does not provide any benefit to private interests. Only organizations that meet these criteria will be eligible for the unique tax benefits afforded to 501(c)(3) organizations. Under the tax code, no part of a section 501(c)(3) organization's net earnings may inure to the benefit of any private shareholder or individual. If any nonprofit is exposed for giving part of their net income to an individual for their private use, an excise tax could be imposed on the individual that accepted the funds and on the individual managers who allowed the transfer of the funds. To qualify for nonprofit 501(c)(3) status, organizations are also restricted from attempts to influence legislation of any form of government, including taking out ads against or for political candidates. To be eligible for a 501(c)(3), organizations must adhere to specific accounting and banking rules. If they follow those rules, then the nonprofit will be able to receive tax-deductible contributions under IRS Code Section 170. They are not subject to income tax, and in most instances, are also exempt from property taxes. Because of their ability to receive tax deductions, 501(c)(3) organizations are closely regulated. Examples of tax-deductible contributions are the donation of items to entities such as Out of the Closet or Goodwill. If an individual makes such a donation and then claims those donation items on their tax returns, it is considered a charitable contribution. What Non-Profit Information Is Public? Simply put, a 501(c)(3) account is a banking account that is exempt from income taxes and most property taxes. To apply for recognition by the IRS, an application must be completed and a user fee must be paid. It is possible to handle other forms of government accounting, such as getting an EIN number for your nonprofit, at this time, as well. In most cases, nonprofits need to apply for IRS recognition of exemption within 27 months of the date the organization was formed. Once the IRS has recognized a nonprofit’s status, it will be classified as a private foundation or, if it meets the requirements, a public charity. Public charitable organizations must make their applications for recognition and all supporting documents available to the public without any charges or fees, outside of a reasonable fee for printing or copying the documents. Banks such as Chase or Bank of America are not considered nonprofit organizations because they operate for profit and serve individuals and private entities. As such, they do not have to follow the rules that nonprofits do and are not eligible for 501(c)(3) status. Any donations made to a privately held account will not be tax refundable. Conversely, credit unions are considered nonprofit entities. This means that the institution itself will not generate a profit. Credit unions return any savings to members and employees in the form of higher interest rates on savings accounts or other beneficial services. Another aspect of credit unions is that they are owned by their members, not a board of directors. Because of this, credit unions regularly ask members to vote on policies and the people that make them. When dealing with check processing for nonprofits, the most important thing to remember is the need for a transparent process and a clear paper trail. It’s essential that members of a nonprofit always keep laws and best practices in mind when dealing with finances. If your organization is small, this may mean that only two people are involved in writing and processing checks. When two people are handling the check processing, the system could involve an administrator checking the accuracy of an invoice. Then, the person who ordered the service that generated the invoice should verify that everything was handled appropriately. An example is that if your organization hired a yard crew to clean up a public parks project that needs to be paid, the person who oversaw the work would confirm that it was done. Then, the invoice would be approved in writing and sent back to the administrator, who would write and sign a check. Once you have successfully registered your nonprofit, you can open a bank account for it. After you have received your EIN and are recognized as a nonprofit, you need to collect a few other documents before you choose a bank. Some documents you can use include the articles of incorporation of your nonprofit, organizational information and proof of your tax ID number. You will also need a list of officers that will have access to the nonprofit’s accounts. Each officer who has access will typically need to provide a photo ID and Social Security number. Some banks will require additional paperwork or different forms of identification for officers. Make sure to check with your specific institution before you begin opening your nonprofit's accounts. When you add or remove any officers from your organization, you will need to supply documentation to your bank or credit union. Forms removing an officer can be filled out by an administrator of your nonprofit. Adding officers may require that officer to go into a branch with appropriate proof of ID. Many banks and credit unions offer account options that are specific to the needs of nonprofits. There is no rule about where you can put your nonprofit's accounts, but typically it is best to have an easily accessible branch for your officers. Comparing and contrasting the offerings of all banks and credit unions allows you to find one that best suits your needs. What Is a 501 Retirement Plan? 501 retirement plans are elective deferrals to a tax-exempt organization plan. These plans are for employees of any nonprofit and allow the same benefits of for-profit plans. You can check your W2 form to see how much you are putting aside for your retirement; all tax professionals should be able to easily handle those contributions to your retirement. These retirement options are also known as 403(b) plans or tax-sheltered annuity plans. In simple terms, tax-sheltered annuity options allow employees to make pre-tax retirement contributions. These contributions will remain untaxed until the employee withdraws them. Many employers offer matching contributions up to a certain amount that are also not subject to taxes until the funds are withdrawn. Public schools, most churches and tax-exempt organizations are eligible to establish 501 retirement plans for their employees. Establishing these retirement plans requires your EIN, confirmation that the IRS recognizes your tax-exempt status and other identifying documentation. In cases where your nonprofit is deemed not eligible to sponsor a 501(b) retirement plan, the IRS website offers a troubleshooting guide to help you correct mistakes that were made during filing. Because of processing times, it is best practice to make sure that your information is accurate well before tax filing season so you will not have any unhappy employees or a stressful tax season. My Credit Union: What Is a Credit Union? Smyth, Danielle. "What Is a 501(c)(3) Account?" , https://legalbeagle.com/6321554-501c3-account.html. 21 February 2019.